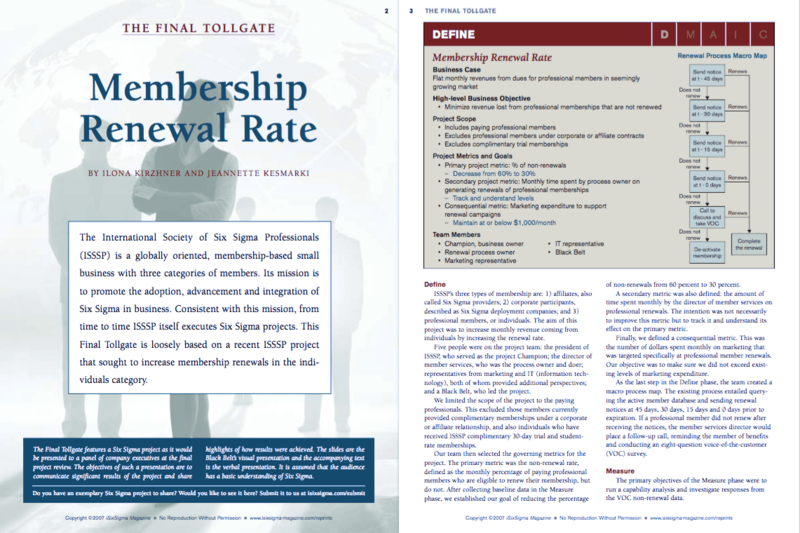 This project, based on the experience of a small business, sought to increase monthly revenue by increasing the membership renewal rate. As a result of improvements, the non-renewal rate dropped from 60 percent to 41 percent. 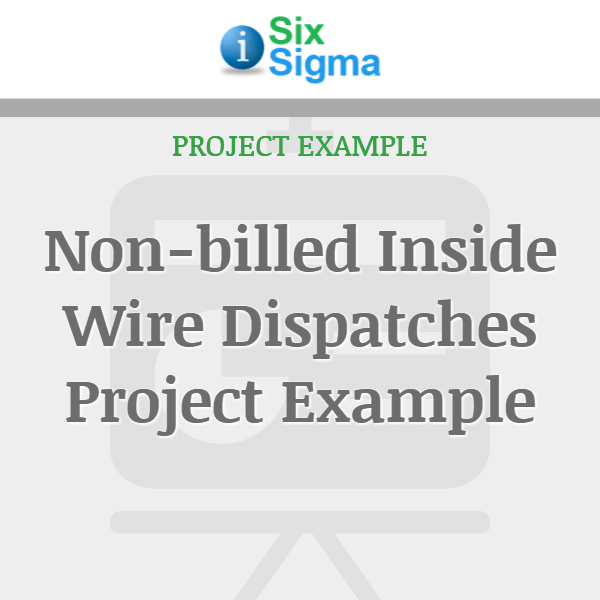 With additional planned improvements, the organization expects to exceed its project goal of 30 percent. 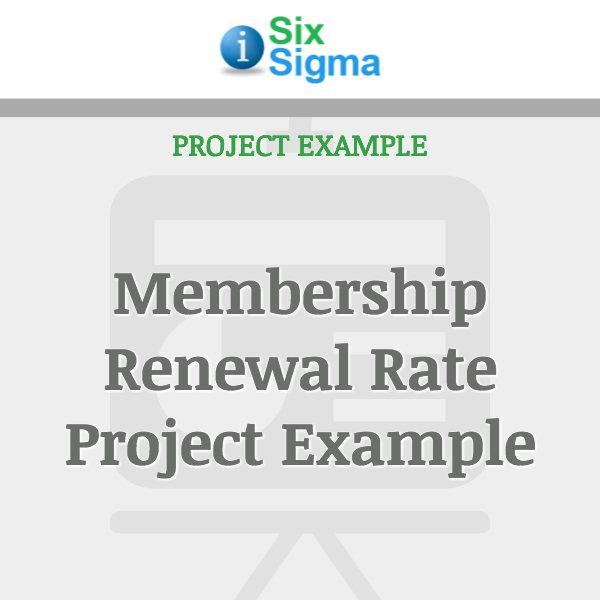 The International Society of Six Sigma Professionals (ISSSP) is a globally oriented, membership-based small business with three categories of members. 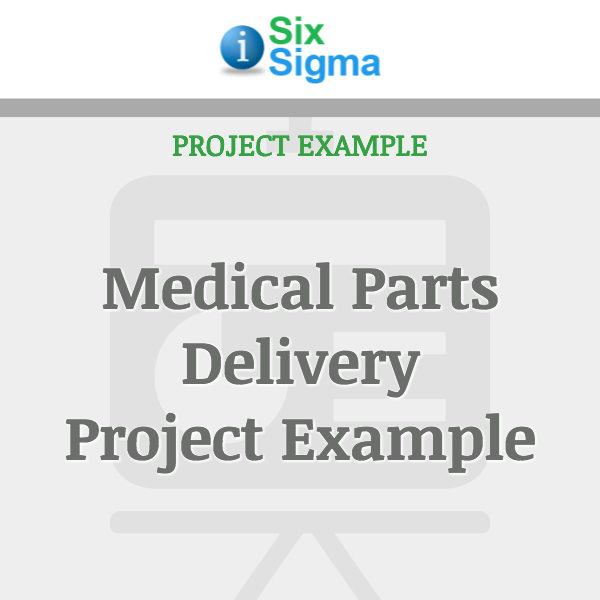 Its mission is to promote the adoption, advancement and integration of Six Sigma in business. 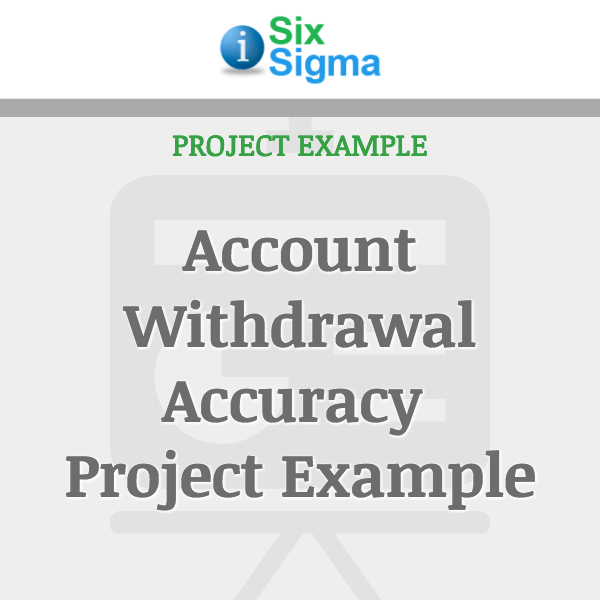 Consistent with this mission, from time to time ISSSP itself executes Six Sigma projects.This Final Tollgate is based on a recent ISSSP project that sought to increase membership renewals in the individuals category.